Buying a New Build or a Resale: What's Best? You are here: Home / Buying or Selling Real Estate / Buying a New Build or a Resale: What’s Best? Buying a New Build or a Resale: What’s Best? Is buying a new build better? Or is the best option buying a resale home? Many ask the question, so let’s determine the better deal. Now that the crisis is over and new houses are being built at all time low prices, there is a new dilemma occurring. The question is, “What do I buy: a new house or resale?” Developers are able to offer really low prices due to buying them at “fire sales” when the original developers went belly up. Therefore, they are able to really compete with the current market. The biggest thing you need to remember is location, location, location AND that new becomes old. How will your house age and what will the effect be for resale and rentals? I have helped friends buy new construction. While there were definitely some positives, I would buy resale over and over again. Condition – New builds are at their nicest point when you receive them. Therefore, with all things being equal you will need to put money into the house just to maintain it. I personally buy short sales or foreclosures. They are at a discount and usually not in perfect condition, which means there is only room for improvement. Upgrades – Most new build prices are given to you at builder grade. Therefore, every upgrade is extra and before you know it you are paying a lot more money for ceiling fans, a back porch, backyard, fencing, etc. I like buying a house with all of those homeowner extras paid for a fraction of the price. A house with all of those extras selling in today’s market is usually not recouping their costs. Location – As it has been mentioned over and over again, (I know I sound like a broken record but seriously, this is important) location and schools are BEYOND important. I have found that good resales tend to be in a better location with better schools than resales in other locations for the same price. Therefore, when new houses get older they will be equal to the old houses. So now your resale will be better than the new house because the school is fantastic! Bells And Whistles – The biggest down fall to buying a new build is that no one ever buys the cheap builder’s model. 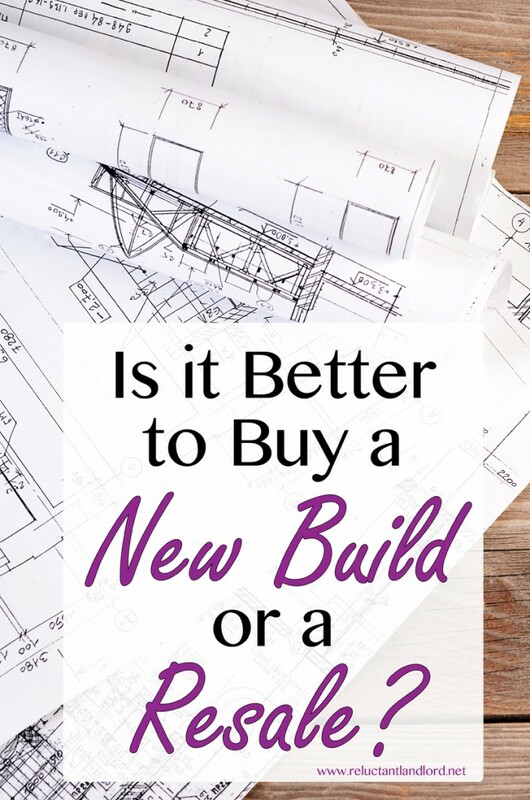 When you are comparing buying a new build to buying a resale, it looks to be the same price or even slightly higher. The problem is after you make the house your own out of the slim expensive offerings the builder has offered, you are paying 20% more than a resale. Plus, I have never seen anyone perfectly happy with a new construction home. On the other hand, a depressed resale has room for you to upgrade it your way. Real estate is great in the fact that EVERY market is different. So go into your market with open eyes and compare ALL the costs. Would you rather buy a new build or a resale? This is so true!!! Not every one wants to own a townhouse out in the middle of a former cornfield, 20 mins away from the nearest grocery store. There is not much difference in resale value of a house that is 15 years old vs a 20 year old house unless its the location.